This project began in a similar way to the Naval Cadets (Kernic) project. I was approached by the Pilbara camp school who were looking for a boat that they could use for their water based activities . They were keen to find a design that would replicate the American Nantucket whaleboats which operated off the coast of Western Australia in the 1800's. Why a Nantucket Style Whaler? The Pilbara Camp School is more acquainted with the nuances of the 42 Islands in the Dampier Archipelago than anybody else. The 4.5m ebb and flood tides create 2-3kn working currents in commercial shipping lanes, currents which are multiplied in close proximity to the islands. Each of the 263 bays has varying tidal datums and almost all of them are unsurveyed. It is these bays that are our destinations, fitting-in with both student groups and wind and tide on the day. The displacement hulls of Whalers have tremendous load carrying capacities that exceed that of other vessels. Originally designed to carry crews of 7-10, 500m of rope, a dozen harpoons and sundry equipment these open-water vessels were double-ended to permit hunters to keep up with and get away from a thrashing whale and its ensuing chaos. Naval Whalers are fabricated using the same principles, however, their modern usage is that of a multiple passenger carrying lifeboat. In this capacity a 1500kg payload is commonplace. The only historical limitation on the Whaler was its length. Anything over nine metres was exceedingly impractical to winch on and off the deck of a large vessel. For our purposes the only limitation is the requirement to be ‘trailerable’ at under 12 metres. A traierable shallow-draft vessel gives us the capacity to launch at major and remote locations including Withnell Bay, Hearsons Cove, 40 Mile and Balla Balla Harbour. It provides the capability to enter shallow tidal bays and ‘float into’ areas that an alloy passenger vessel cannot. Large commercial passenger carrying vessels in Dampier simply cannot enter the areas we can with their deep draft, alloy and steel hulled vessels and require a crew transfer vessel to get passengers to and from the beach. In addition to enhancing safety by allowing passengers to disembark directly on the beach, the flat-bottomed Whaler can ‘dry-out’ on almost any bottom and then be re-floated on the incoming tide. The Whaler will be a composite of glass fibre, marine ply, solid timber, epoxy, and two-pack finishes. The hull, fabricated in marine ply can be CNC cut and easily formed into shape significantly reducing labour. Ply is strong and absorbs impact making it particularly suited for shallow-draft activities. The hull will be sheathed with glass woven rovings which provide abrasion resistance and the epoxy finishes are particularly suited to the Pilbara’s extreme temperatures. Notably composite vessels are easily repaired in house with the Camp School’s current equipment and we currently well versed in securing vessels such as this during cyclone season. The Whaler has supreme ‘Heavy Weather’ capability. Traditionally built, timber whaleboats have been recorded having safely completing voyages of over 4000 miles in open water. The Whaler will have a cruising speed of 5-10kn under motor, sail or oars. This is a respectable cruising speed, all the more impressive when it is understood that the lines of this displacement hull vessel enable it to sustain that speed in any weather. There is no other style of vessel more suited to educational purposes. The Pilbara Camp School is about education – not a holiday destination. A composite Whaler is the premiere ‘hands-on’ learning tool that is multidimensional. 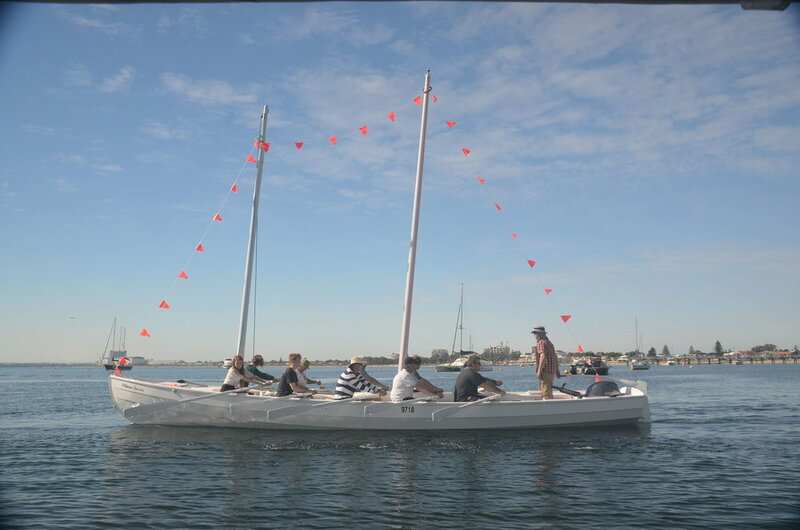 This vessel enables small groups to develop intimate knowledge of sailing skills, while additionally enabling less-able students to participate as part of a large group. 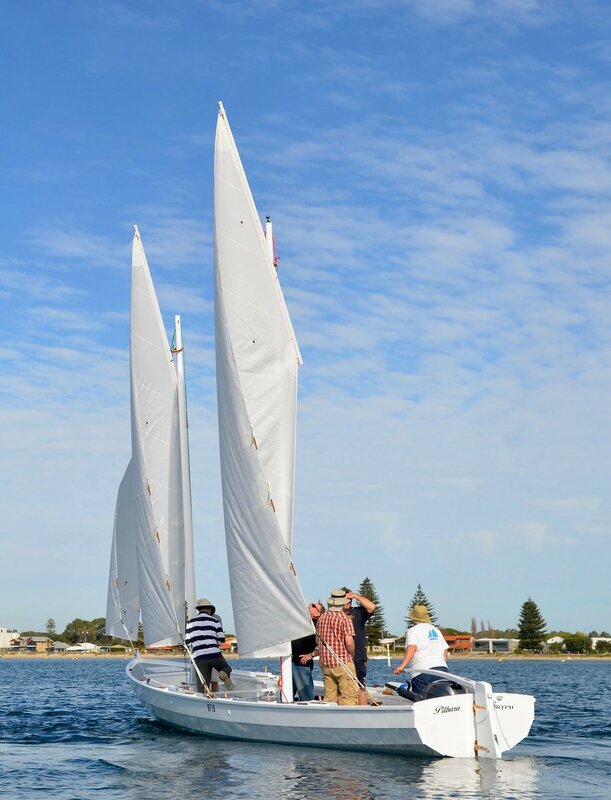 A small group of experienced sailors can extend ability whilst novices can commence at the ‘experience’ level. She will be designed to take an entire primary class – permitting all students to operate her under oars, and additionally the vessel has the flexibility to provide ‘powered vessel’ sea time to senior students on a pathway to achieving a Coxswain qualification. The same vessel can be utilised to support all of the programs we have operated here for 25 years, in addition to allowing us to develop a whole suite of new activities. The hull provides both seaworthiness and extreme efficiency of operation. Fully laden, with worst possible conditions the Whaler will achieve a maximum fuel burn rate of 13.5L for every 6 nautical miles travelled. However, under average conditions in the partially smooth waters of the Archipelago a ‘day on the islands’ the Whaler would operate effectively at a fuel burn rate of 1nm/L – the average day equating to 10-25L of fuel.